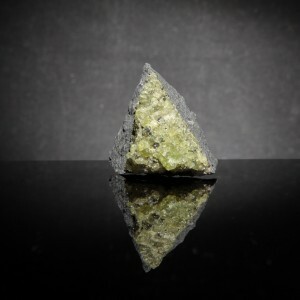 Adamite 5 1/2" x 3 1/2" x 1"
Home / Crystals & Minerals / Peridot / Peridot, Forsterite 1" x 1" x 1"
View Cart “Adamite 5 1/2" x 3 1/2" x 1"” has been added to your cart. 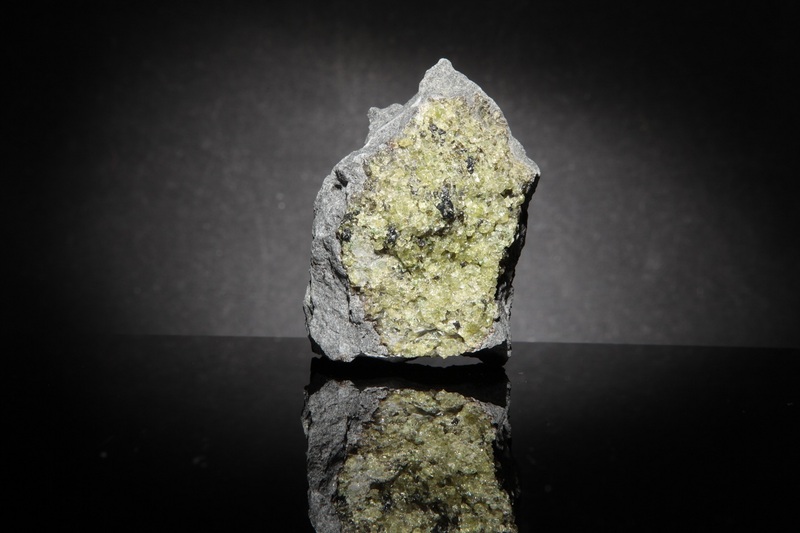 Peridot, Forsterite 1" x 1" x 1"
Lime-green peridot is a variety of forsterite or magnesium silicate that crystallizes in the orthorhombic system to form compact masses, nodules and rarely, crystals. SKU: PER1. Tags: Arizona, United States. 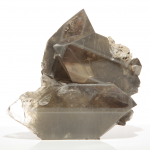 HISTORY, NAME, LOCALITIES: Mineralogists recognized forsterite, pronounced FOR-stir-ite, as a mineral in 1824 and named it for the German naturalist Johann Forster. The transparent, lime-green, gem variety is known as peridot, pronounced PAIR-ee-doh, a name that is rooted in the Arabic faradat, or “gemstone.” Peridot crystals large enough for faceting are rare. Collecting localities are found in Egypt, Myanmar, China, Pakistan, Brazil, and the United States (Arizona, New Mexico, Arkansas). 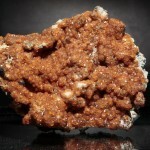 MINERALOGY, PROPERTIES, OCCURRENCE: Forsterite [magnesium silicate, Mg2SiO4], crystallizes in the orthorhombic system as compact or granular masses, nodules in magnesium-rich volcanic rocks, and rarely as striated, tabular or box-shaped crystals. 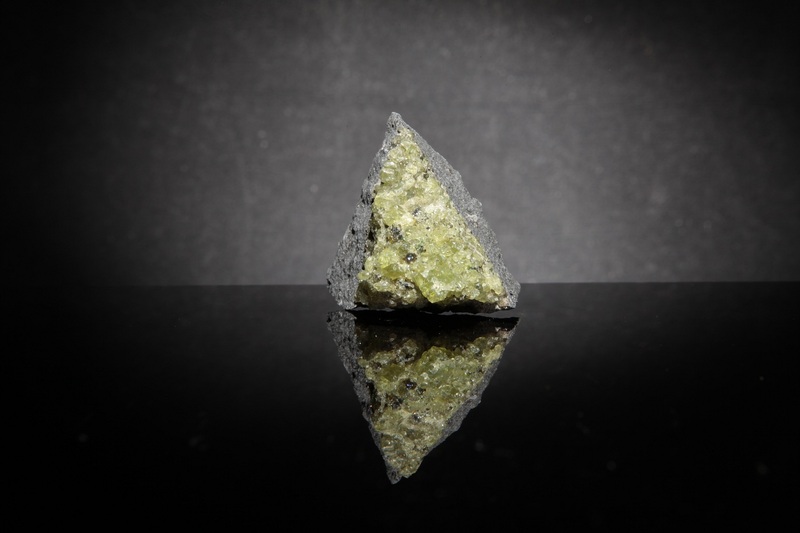 Forsterite is a nesosilicate that often contains iron, has a Mohs hardness of 6.5-7.0, indistinct cleavage in two directions, and a specific gravity of 3.2-3.4. 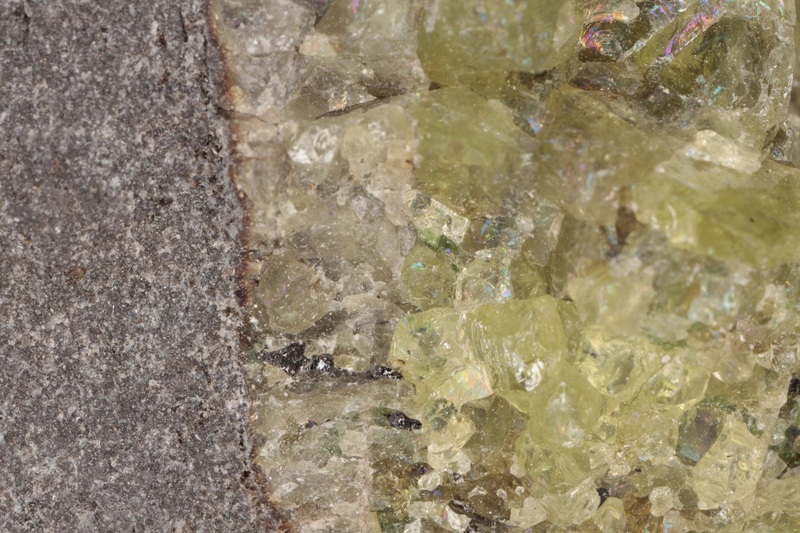 Crystals are transparent to translucent, have a vitreous luster, and are olive-green and lime-green to yellow-green and yellow-brown. Peridot is found primarily in basaltic rocks; after weathering, it can form alluvial concentrations. METAPHYSICAL PROPERTIES, LORE, USES: Medieval physicians prescribed powdered peridot to treat asthma and placed peridot beneath patients’ tongues to alleviate thirst. Modern metaphysicists believe that peridot attracts love and enhances both eloquence and the metaphysical powers of other stones. Peridot is faceted into gems and is the birthstone for August. 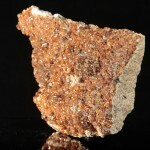 Forsterite was once a minor ore of magnesium and is now mined for use in refractory sands and bricks for high-temperature, metal-casting ovens. 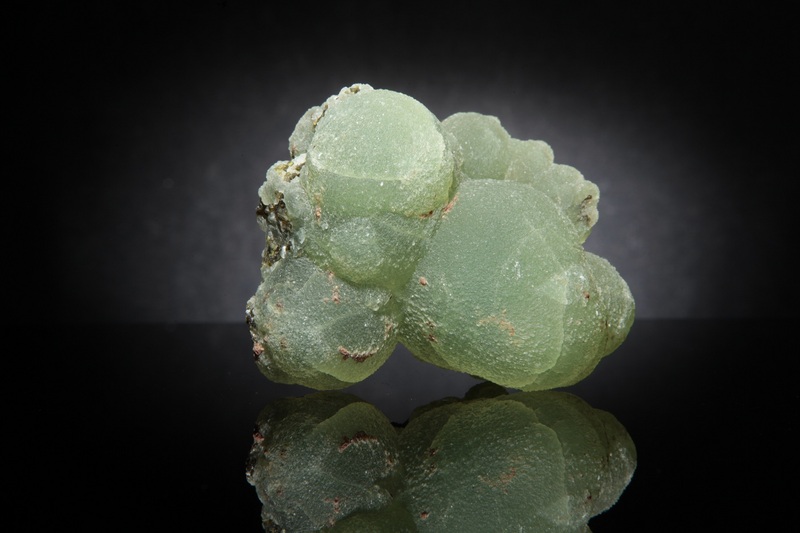 COLLECTORS’ INFORMATION: Collectors value peridot both as individual crystals and nodules and as specimens of peridot-rich basalt. SKU: PER1 Tags: Arizona, United States. 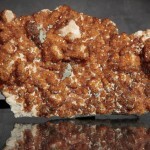 Barite 4" x 3 1/2" x 1/2"